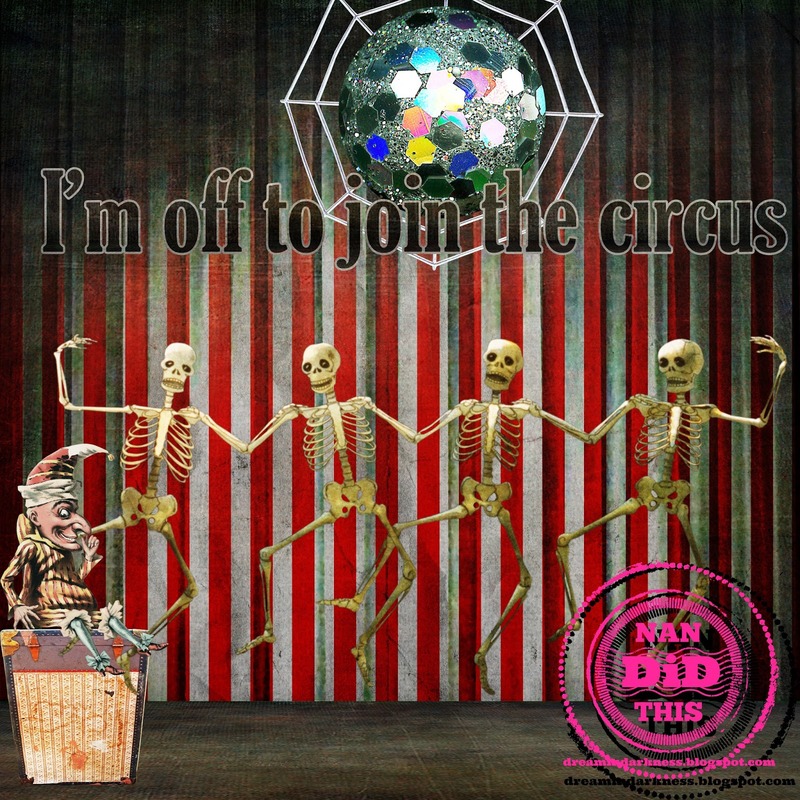 Dream In Darkness: Off to the Circus! CT Nan back with my solution to my life's woes and worries! 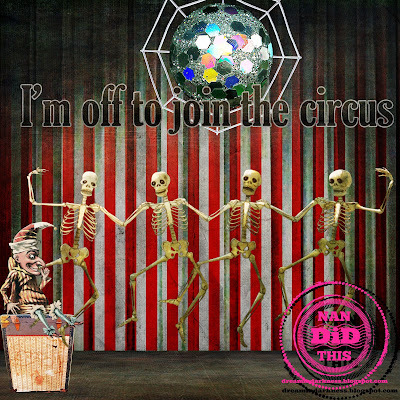 I am off to join the circus! And of course I can't just up and leave without leaving a little bit of a visual material for you to see. I am not real sure how I am going to fit in with this crew but they seem friendly, love to dance, and I think the little dude likes a drink or two if you know what I mean, so I think we will learn to get along just fine! Now it is the 27th day of the month...you know what to do so run along and then you can dream of cobweb covered disco balls! And you still have time to get your make into our challenge.....we know who has been naughty and nice...like that fellow from the other popular holiday for weird people! Evil Froggy is back and so alive and well you do not want to tempt him! saw this project - such fun. the disco ball is great. LOL! I think this is awesome! Yea, I am certain Punch drinks a bit.